How can you be prepared to meet evolving aviation safety mandates, and why the different aspects of safety management are important. 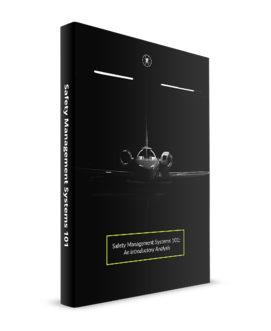 This handy guide will take you through the basics of safety management, explaining the industry jargon, detailing why it's relevant for your aviation business and what you can do about it. What does all the jargon mean - SMS, FOQA, FDM, LOSA, ICAO, FEM, FDR, SARP? Why is it relevant to your aviation business? "ICAO's new safety management guidelines "...essentially demands that aviation service providers (such as airliners, private operators, and commercial businesses) work to proactively improve safety rather than treating it as an afterthought, in the wake of an accident or other safety issue."